Over the last year at her blog Rachel Held Evans has done an interview series asking representatives of various systems of belief questions coming from her readers. She notes: "...[W]e’ve featured an atheist, a pagan, a nun, a Mormon, a Mennonite, a Calvinist, an evolutionary creationist, a humanitarian, an environmentalist, a gay Christian, a Unitarian Universalist, an Orthodox Christian, a Pentecostal, and many more." Today, Seventh-day Adventist pastor and editor, David Newman, answers questions about his denomination. Since Seventh Day Baptists are often confused with that denomination, I thought SDBs might find the interview interesting. Here are a couple of Pastor Newman's responses from a much longer set of answers. 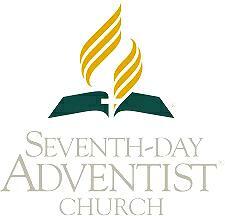 From Paula: Seventh-day Adventists have a strong practice of Sabbath keeping. Why, in your view, is Sabbath keeping so important to Christian life and practice? What gifts from this practice would you want to share with the rest of the church? We believe that the Sabbath celebrates the birthday of the world, the new life God brought into the universe, and justification by faith. When we rest by not doing our own work on the Sabbath, it is a powerful reminder that just as we trust God to supply our material needs, so we trust in his grace for salvation and that none of our works count toward that salvation. The great gift of the Sabbath is to legitimately forget for one day the pressures of this world, and to revel in God’s grace spending extra time with Him, with family, and with friends. The founders of the Adventist Church came from the Methodists and the Christian Connection and were all Sunday keepers. Rachel Oakes Preston, a Seventh Day Baptist, was the first one to introduce this concept to the early Adventists in the middle of the 18th [Note: actually the 19th] century. From Geraldine: Do you see [Sunday worship] as a sin, and if so why? Are all other Christians sinners because their sacred day is Sunday and not Saturday? This is a great question. The challenge is to explain in a few words what sin is. Sin exists on two levels: relational and behavioral. When Jesus was asked which was the greatest of the commandments (behavior), he replied to love God first and your neighbor as yourself (relational). SIN spelled in capital letters is our break in our relationship with God. It is rebellion against God; sin spelled in lower-case letters are all the behaviors that are not in harmony with God’s will. Since no one will ever be sinless (1 John 1:9) sins do not keep us out of heaven. If we have placed our trust in God, we are saved. Now comes the growing part. The Bible says we are born again, and just like a baby is very immature and grows into maturing during its whole life, so we must grow.